Bamfield, Vancouver Island, Canada. 27 Apr 2004. Michael Guiry. © Michael Guiry (mike.guiry@nuigalway.ie). Otter Crest, Oregon, USA; on stipe of Nereocystis lutkeana in drift. 15 Jun 2003. Michael Guiry. © Michael Guiry (mike.guiry@nuigalway.ie). Published in: Blankinship, J.W. & Keeler, C.A. (1892). On the natural history of the Farallon Islands. Zoe 3: 144-165, pls XVIII-XXI. English: Red Laver, Purple Laver (Madlener 1977), Rose Nori (Chapman & Chapman 1980), Red nori (McConnaughey 1985). North America: Alaska (AK) (Lindstrom 1977, Scagel et al. 1989, Lindstrom & Fredericq 2003, Lindeberg & Lindstrom 2010), British Columbia (Scagel 1957, Scagel et al. 1989, Stiller & Waaland 1993), California (CA) (Abbott & Hollenberg 1976, Scagel et al. 1989), Oregon (OR) (Stiller & Waaland 1993, Hansen 1997), Washington (WA) (Scagel 1957, Scagel et al. 1989, Stiller & Waaland 1993, Müller et al. 2005). Accesses: This record has been accessed by users 5262 times since it was created. Dickson, L.G. & Waaland, J.R. (1985). 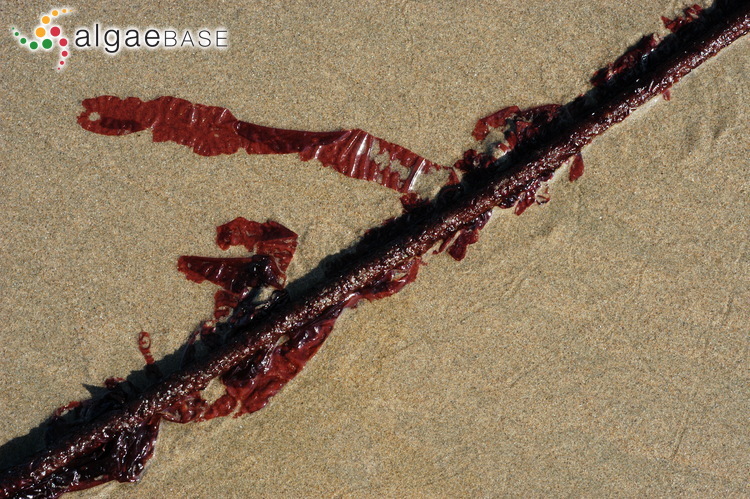 Porphyra nereocystis: a dual-daylength seaweed. Planta 165: 548-553. Hawkes, M.W. (1981). 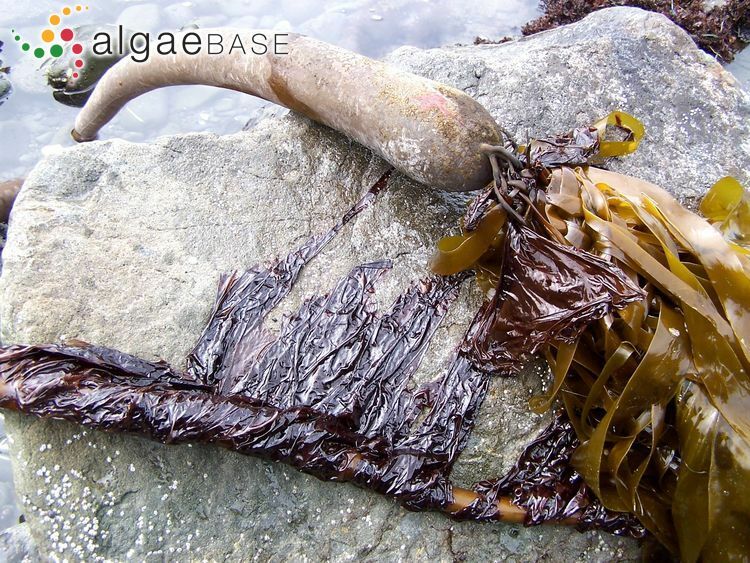 Porphyra nereocystis and P. thuretii (Rhodophyta): gametophyte morphology, distribution, and occurrence. Syesis 14: 97-108. Waaland, J.R., Dickson, L.G. & Watson, B.A. (1990). 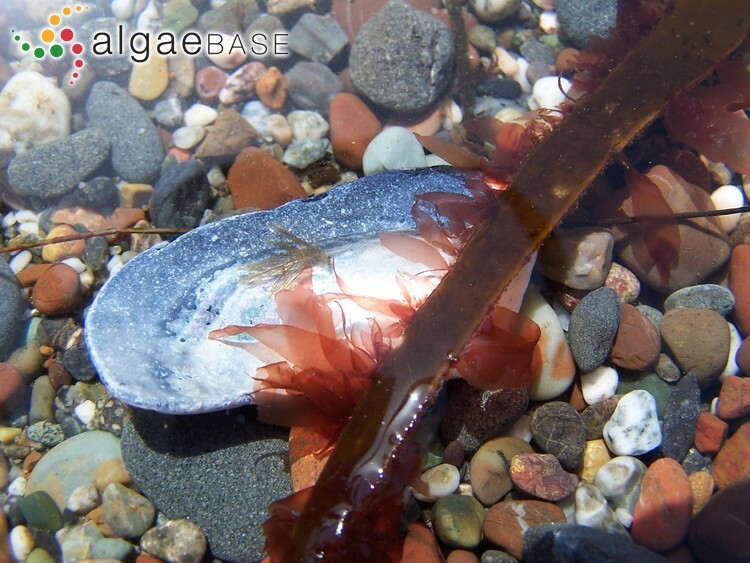 Protoplast isolation and regeneration in the marine red alga Porphyra nereocystis. Planta 181: 522-528. Woessner, J. (1981). 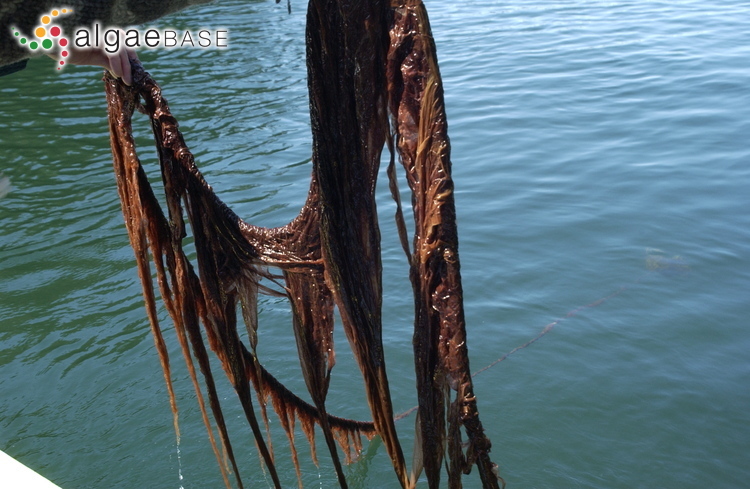 The measurement and harvest of the marine crop plant, Porphyra nereocystis. Proceedings of the International Seaweed Symposium 8: 764-769. Yabu, H. (1970). Cytology in two species of Porphyra from the stipes of Nereocystis luetkeana (Mert.) Post. et Rupr.. Bulletin of the Faculty of Fisheries Hokkaido University 20: 243-251.